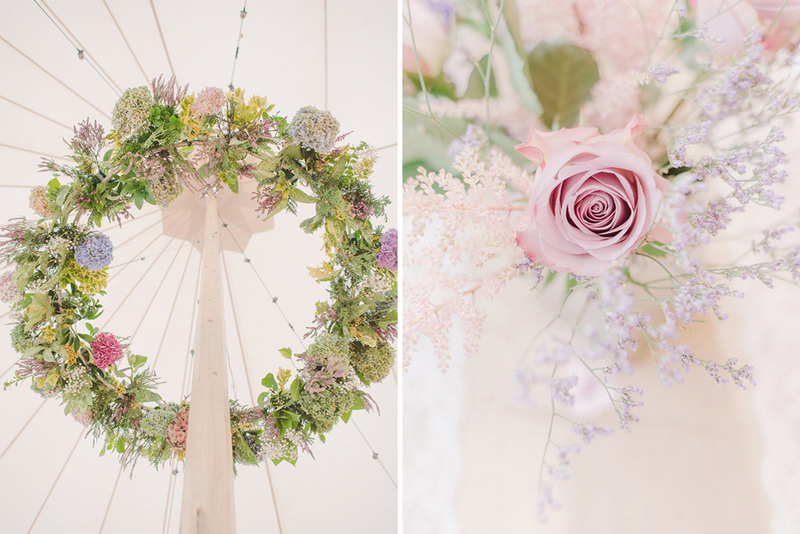 Isn’t this flower-filled, vintage Dewsall Court wedding simply jaw-dropping? Answer: Yes! 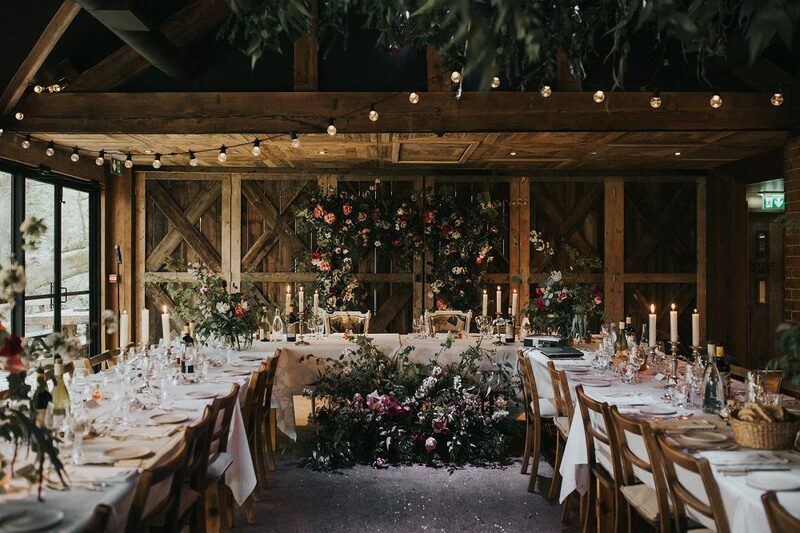 From the rustic venue itself to the rich tones, beautiful blooms, and immense decor. Every detail will have you swooning with delight. 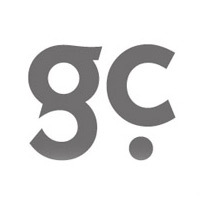 It’s no wonder Dewsall Court is a handpicked member of our supplier directory The List. If you’re anything like me you’ll find yourself falling for bride Pippa’s Lusan Mandongus bridal gown too. The lace is truly exquisite and so fitting for their period wedding. The groomsmen scrub up well too. I love the jewel-coloured edges on the pockets of their navy three-piece suits, perfectly complimenting the colour scheme. Plus those wildflowers buttonholes are like nothing I’ve ever seen. 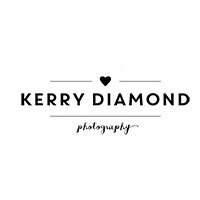 Capturing all the wonderful vintage vibes was Kerry Diamond Photography, whose eye for detail and precious moments will take you on a wonderful journey. Laura and Stuart’s Sperry Tent wedding perched on the edge of a clifftop over looking the sea is a welcome dose of escapism this Wednesday morning. We always love featuring weddings that take place in unusual places. The cute couple are lucky enough to know the owners of the incredible Sandsend Bay Cottages and it’s stunning views. 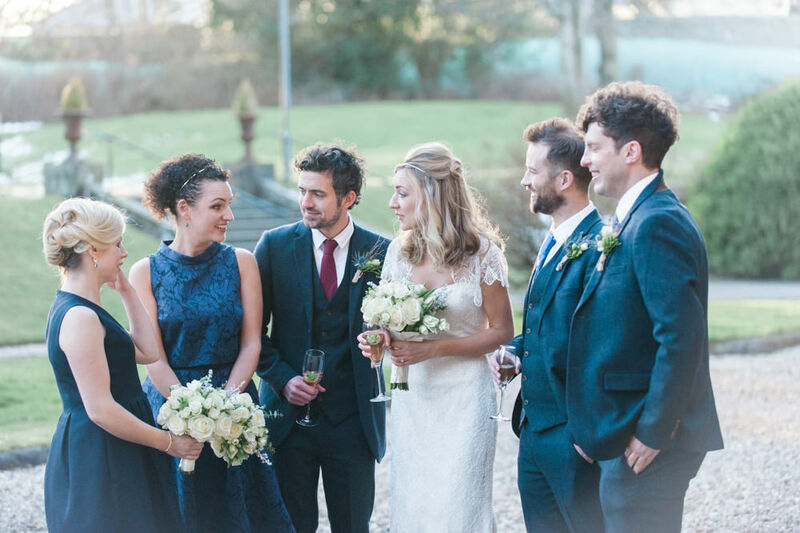 It’s always lovely to feature the weddings of our readers too, and Bride Laura tells us that she found lots of wedding inspiration via Rock My Wedding, which makes us feel very happy indeed. 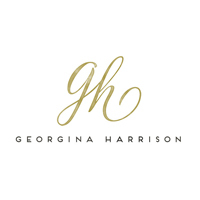 Enjoy this pretty wedding, the images come from the talented Georgina Harrison, who has captured the soft light to perfection. How awesome is that confetti shot right there?!? 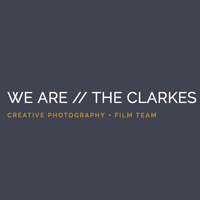 This is why we LOVE Anna and Simon at WE ARE // THE CLARKES. 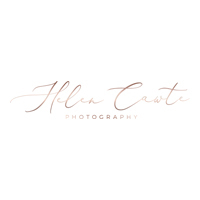 They capture real wedding moments completely naturally. Every wedding we feature from them feels as if you’ve attended as a guest, rather than viewing the images on the internet. And I promise they will be your actual friends by the time your wedding journey is over, they are both throughly lovely people. Charlie and Steve’s day just looks so very them. 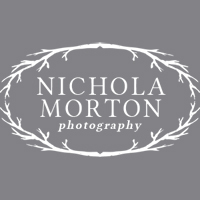 With nods to their meeting place – Glastonbury Festival and held in the county where Charlie grew up (at Wethele Manor in Warwickshire) but filled with super pretty details too – it’s a perfect summers wedding and they both must have been absolutely thrilled with how the day turned out. Right, let’s take a proper look shall we? Natalie and Martin’s rustic, sunshine filled day is proof that you don’t need to spend a fortune to have a beautiful wedding. With a little bit of careful planning, saving and compromise, you can create the day of your dreams without causing yourselves unnecessary stress. Natalie sounds like a lady with her head firmly screwed on and it’s clear that the most important thing to her was just to marry Martin. The pair were lucky with the weather and had the most incredible blue skies and sunshine, making their venue, Ridge Farm, look even more beautiful. 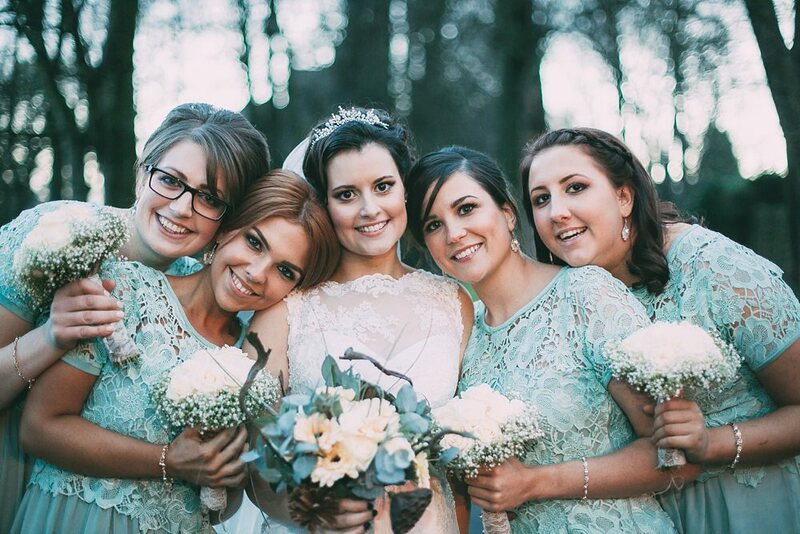 There’s a lot of gorgeous lace action going on, with Natalie’s Lusan Mandongus dress and those stunning cornflower blue Bridesmaids dresses – a total bargain from Kailko at House of Fraser. We hope you enjoy this relaxed, rustic but oh-so-happy big day! This morning’s bride Ali has got the most beautiful smile and a gorgeous set of locks to boot so it’s no surprise that her Lusan Mandongus dress suits her down to the very ground. 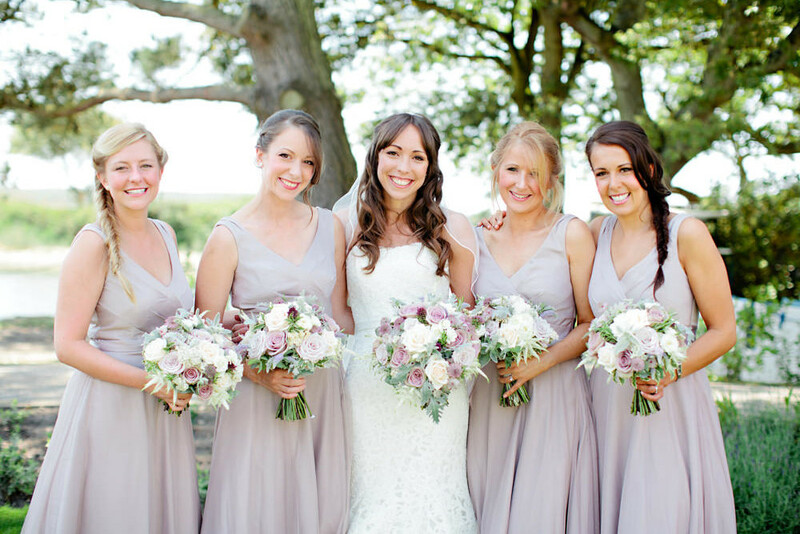 Ali married her boy Allan at the commanding Highcliffe Castle in Dorset accompanied by her best girls dressed in ‘cherry yogurt’ hues as she so affectionately calls it. 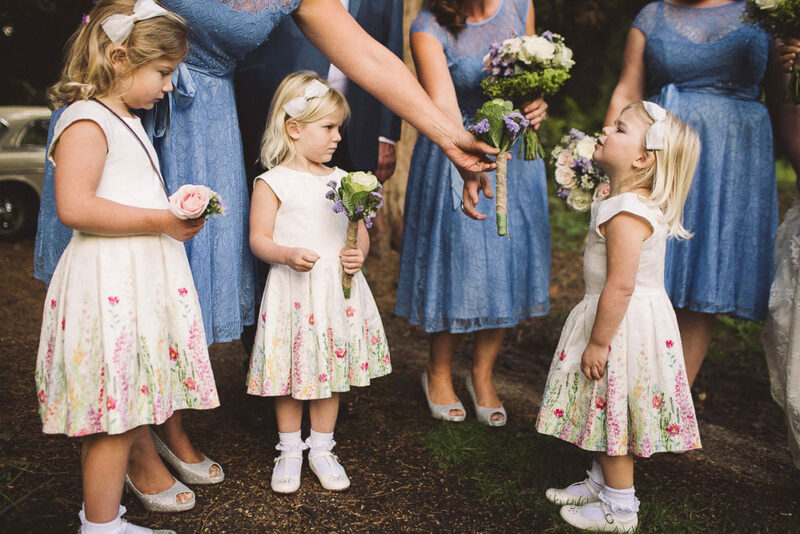 Their wonderful day was all captured perfectly by Love Lust List member Helen Cawte. Are you ready for a Christmas wedding? 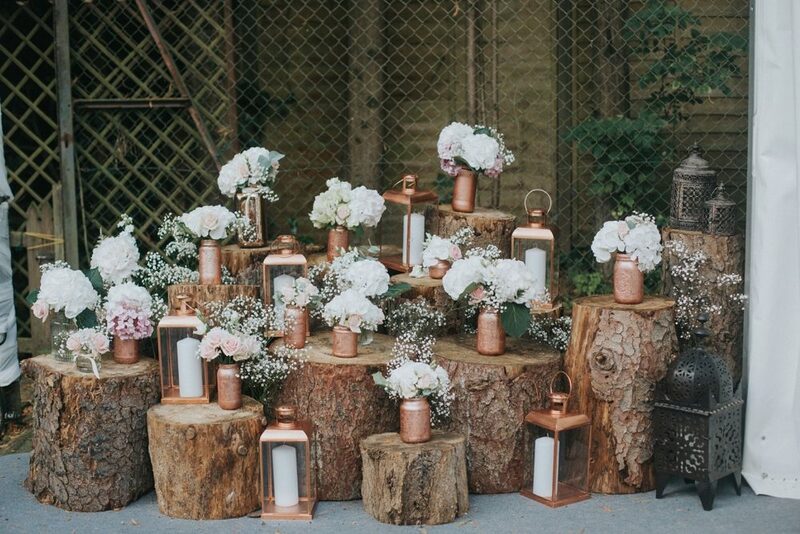 One with a perfectly woodsy, rustic theme combined with ice-maiden bridesmaids and a dapper groom? Of COURSE you are! Today we bring you the gorgeous nuptials of Elisabeth and Michael who tied the knot in a beautiful area of Bolton before grooving on down at a local village hall that had been lovingly decorated by the pair’s friends and family for five days beforehand complete with a ginormous Christmas tree. Today’s wedding is a bit of a tearjerker. Not only did eighteen of their friends sing them down the aisle to incredible choral music, accompanied by a 10-piece brass ensemble with another friend on the organ, Groom Michael also composed a piece of music for the choir to sing as a special surprise for his bride. I told you you’d need tissues! There’s a special place in my heart for Winter weddings, especially when they’re in Scotland and set against a glorious backdrop of hills and mountains and lit up by candlelight. 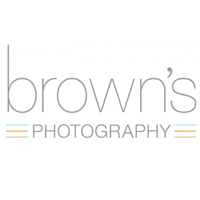 Which incidentally Rhiannon and Dave’s big day was…I know how lucky are we this morning! Rhiannon married the love of her life in a Lusan Mandongus frock whilst Dave sported a bit of traditional tartan cut in a very modern way. Granted it was January and one of the coldest months of the year but warmth and love oozes from every one of the photos you see below. 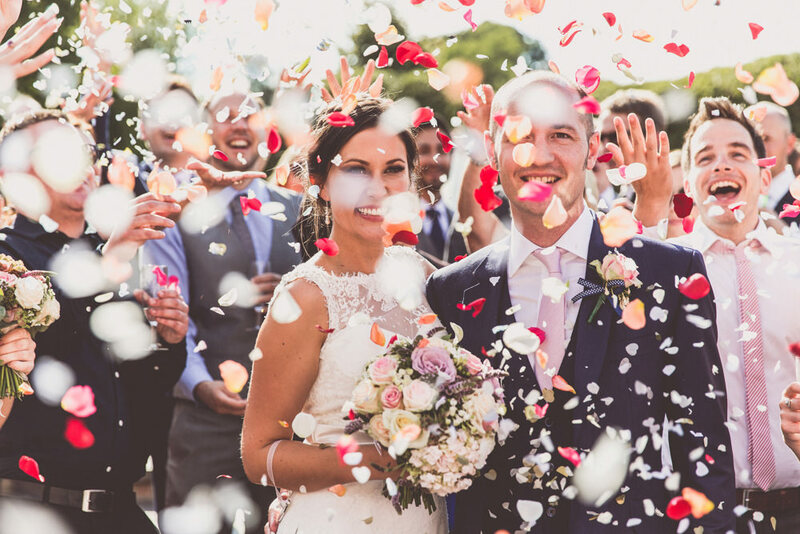 If there is one adjective to describe this gorgeous couple’s big day then it’s got to be ‘spectacular’. From the show-stopping fireworks for the guests in the evening to the dashing groomsmen and to the monumental displays of flowers that appeared on the tables and down the aisle; everything is a wonderful statement of love.